Thoughts on grief – why do you visit? Trigger warning: Baby loss and medical miscarriage/termination mentioned. 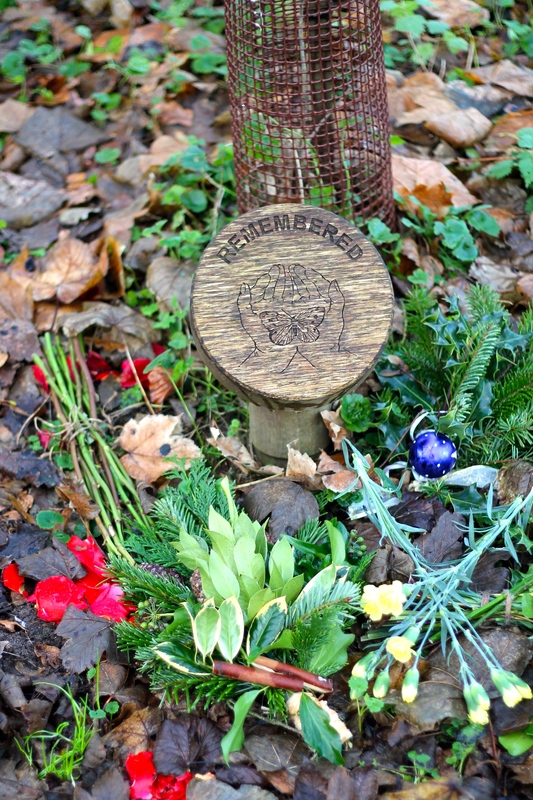 The baby memorial at the woodland burial ground. It seems wrong to write about grief when we’ve spent the last few days celebrating all that we have to be happy and thankful for. However, for me, grief is like a low humming noise in the background; it is always there now but at special times, such as Christmas, it is as if someone accidentally leans against the volume control and the sound gets cranked up. Sometimes it is deafening. 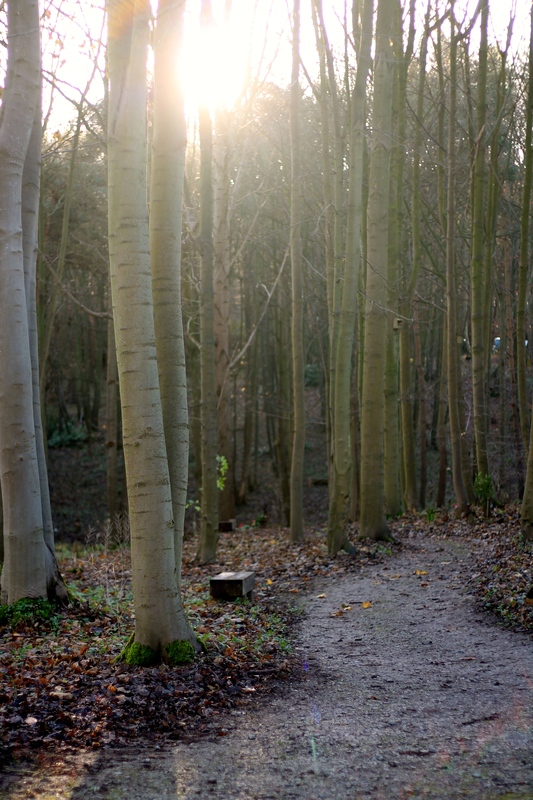 For the third year in a row we visited the woodland burial ground on Christmas Eve. While last year we struggled to push Freya in her pram up the muddy slope to the baby memorial, this year she walked the majority of the way in her new wellies and I handed her one of the yellow carnations and helped her place it beside the wooden plaque. Earlier in the year, someone asked me why I still visit. I think inferring that now we have Freya I shouldn’t still be mourning a pregnancy I “lost” when I was just 13 weeks, which, as others, who I have no doubt were coming from a good place and wanting to help ease my pain, pointed out “wasn’t a real baby”. I found it difficult to respond at the time. I think I was shocked and a little hurt at being asked – plus it played into feelings I have about grief and my right to feel it – but since then I have been thinking about what they said. 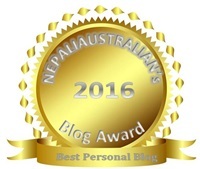 A post by Meghan at Expecting the Unexpected entitled We Are All Sad pushed me further to get some thoughts down on virtual paper. She questioned whether there is such a thing as a hierarchy of loss. It’s beautifully written, which is probably why it has stuck with me. I think if there is a hierarchy, for a long time after the medical miscarriage/termination I felt like I didn’t have any right to grieve at all, that I wasn’t even allowed on the first rung of a loss ladder because I made the Heartbreaking Choice to end his life. Even though I am pro-choice, I never expected it to be my choice – especially for a planned and wanted baby – and it went against all of my personal beliefs for me. 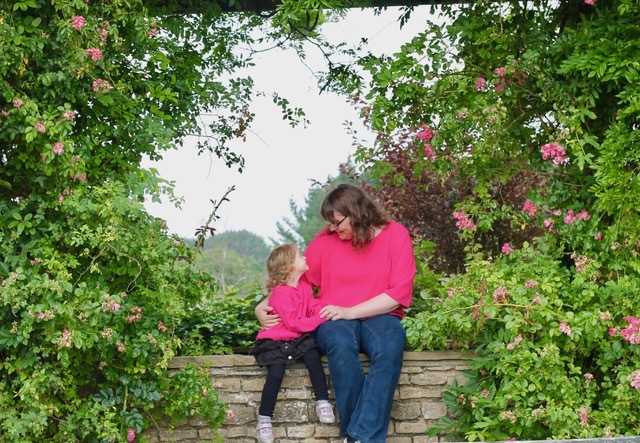 I knew in my head that, with a fatal diagnosis of anencephaly and on medical advice, it was the right course of action for both of us but my heart shattered… and then shut down. Initially, because I wasn’t offered any support and felt it was something to be ashamed of, my way of coping was to try and get things back to normal as soon as possible – almost to try and forget it even happened – but once you have stepped foot on the dark path of baby loss there is no going back and instead you eventually find what they call your new normal. With the help of counselling, I was able to understand my guilt, although I will never totally be free of it, and accept that I was punishing myself and his memory by denying my grief. While I have no doubt that grief would have been far worse if his condition went undiagnosed and he died later in pregnancy or immediately after birth (I have no idea what guilt I might have still felt), I agree with Meghan, we are all sad – and believe me when I tell you it has taken work to be able to say that. So why do I go? I go because I know the way to quieten the noise is to feel close to him. He doesn’t have his own plot but is instead buried with other babies who were lost before 24 weeks. It is better in one way because the memorial gets lots of visitors so there are always flowers and the natural trinkets allowed in a woodland setting. I go because he is real to me and I love him as my son. I did what I thought was best. And I go because I have him to thank for my other great love, Freya, because if he had lived, she would not. Next postFrom now on, every day will be a best day. What a beautiful place to visit your cherished little man. It really is. In the summer when the woodland is carpeted in a lush green and the wild flowers are in bloom it is magical. It always feels very peaceful, whatever the season, too. Thanks for taking the time to comment. Thank you for a wonderful and moving post. Thank you for taking the time to comment, much appreciated. I’m so sorry for your losses. I bet you were terrified all the while you were pregnant with Holly too. So pleased you (and I) have a happier ending. Thank you, Leigh. It really is lovely. My head was all over the place at the time so we let the hospital take care of everything but I couldn’t have picked better for him. What a kind thing to say, thank you. Although I’m sorry it upset you.